Tusshar Sasi	 June 23, 2017	 Leave a Comment on “Tubelight” makes a relevant statement on inclusive India! Inclusiveness is something. It reminds me of how Judaism spread in India and, forming distinct groups as Bene Israel, Baghdadi and Cochini Jews. Based in Bombay and surrounding areas, Bene Israel found an identity close to native Indians and developed customs that were amalgams of both cultures. Meanwhile, their intent for an ultimate emigration to Israel didn’t cease over centuries. When they finally did, this miniscule yet close-knit community fell prey to biases on grounds of racism and their inability to easily diffuse with local Jewish customs. Kabir Khan’s Tubelight makes a similarly strong statement on immigrants from China. Having lived all their lives in India, the film briefly focuses on their plight – the feeling of being considered an outsider in one’s own mother land. This significant plot point looms larger than the film’s central message that is pivoted around a different philosophy. So, Yakeen or belief is what forms the crux of Tubelight. In a theory similar to Paulo Coelho’s, the film encapsulates how the whole universe will conspire to help you get what you want. Unlike most Indian films, Kabir Khan doesn’t mix the idea of faith with any religion. Our protagonist Lakshman (Salman Khan alias Tubelight) is a believer. Now, we aren’t told what he believes in. It could be destiny or an unseen universal force or even God. This element remains untold, making the plot of Tubelight rather reflective. In a masterstroke character, Kabir Khan gives us Mohammed Zeeshan Ayyub as Narayan. A prototype of the existing intolerance in present day India, Narayan epitomizes someone with closed, divisive thoughts on what or who is Indian and otherwise. Narayan isn’t really an evil person, although the grey shade stands justified. It is the tenacity of this character combined with the subplot of the Chinese family living in the sleepy town of Jagatpur that works well in Tubelight. Talking about the town, the DOP (Aseem Mishra) and the production design team recreate 1960s’ Kumaon region to the T. Complete with a clock tower, wooden houses, people in sweaters and cowboy boots, the town will easily pass off as one in Wyoming or Alaska. Lakshman’s misunderstood ‘powers’ end up making at least some sense, given this surreal milieu. Besides these interesting nuggets, Kabir Khan’s well-meaning message gets diluted in over-simplified writing. It is one thing to make your lead a halfwit with unevenly dwindling life skills. To make collective sense out of his actions is another. Given the story outline, Lakshman makes for a hero every audience member would root for – a ‘lesser’ human being mocked and pitied like there’s no tomorrow. Somehow, the feels do not come through. Not even half as effectively as it did in Kabir Khan’s own Bajrangi Bhaijaan. 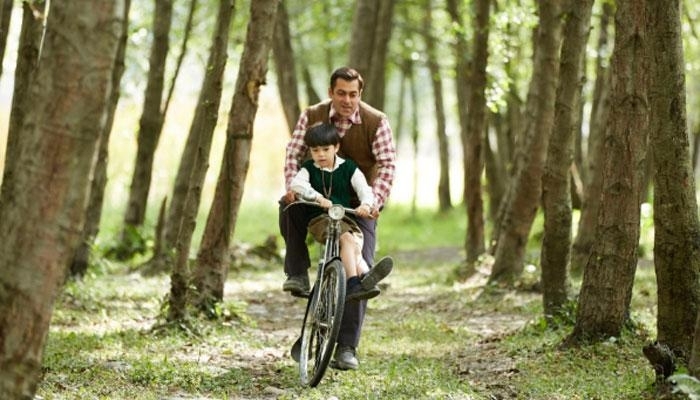 A good chunk of Tubelight’s deficiencies could be attributed to casting Salman and Sohail Khan in key roles. Not only do they look way too old for their boots, but are also middling at their emotive skills. Salman, vested with a tough part, works only when he isn’t trying hard to make much sense of his rather half-baked character. The writers’ idea of making him an all-white, innocent un-hero might sound great on papers, not on the celluloid. Young Matin Rey Tangu is cute as a button and delivers a spirited performance. It is also heartening to see Om Puri in a full-length role, perhaps his last. Newcomer Zhu Zhu is graceful and adds the right tint of realism to a story that is overtly cliché-driven. In a neat supporting role, Isha Talwar makes full use of her screen time, as does Yashpal Sharma. 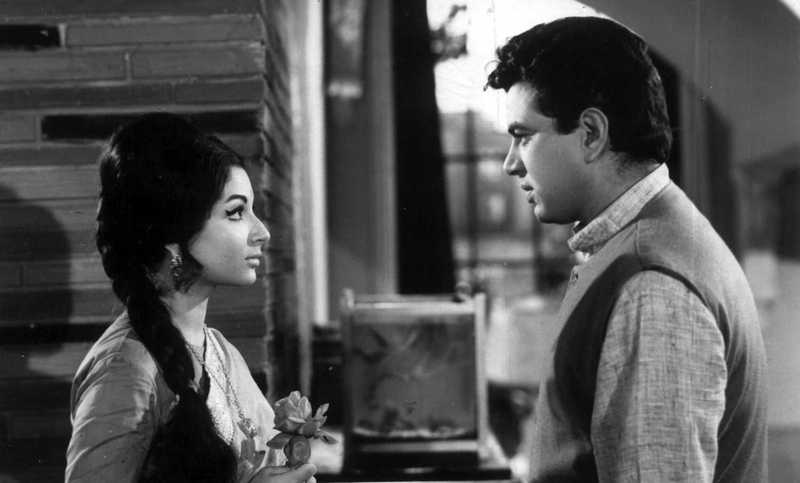 If there’s a tremendous downer in Tubelight, it ought to be the long-drawn, compromised ending. Not only is it straight-out-of-a-folklore material, but the emotions appear completely plastic. In an exercise to prove its idea of ‘belief’, Tubelight drowns in its own waferthin core – almost nullifying the initial impact. If at all there’s a takeaway from this glaringly faulty film, it has to be the message that India has always been diverse – irrespective of one’s religion, skin colour, facial features, customs et al. For the rest, Tubelight is another also-ran fare. “Anupama” makes you fall in love with the ‘Black and White’ camera!